Have your coffee exactly when you need it. 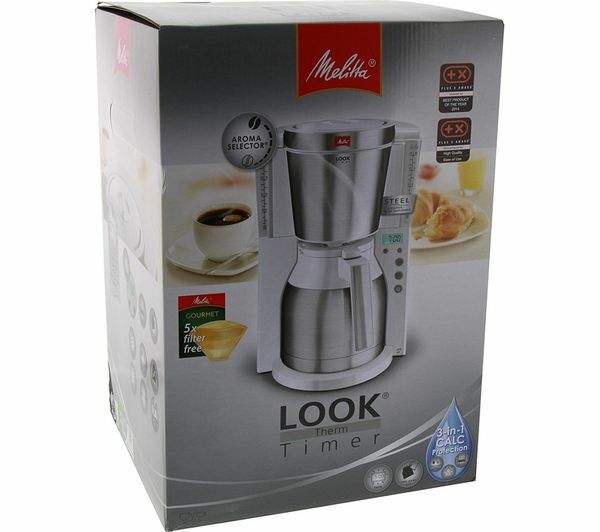 The Melitta Look IV Therm Timer Filter Coffee Machine lets you set a time for it to start brewing, so you can wake up to the smell of coffee - or have it fresh in the pot for a late-night working session. User-friendly LED display and buttons allow you to program simply. A strong coffee to get you revved up in the morning or a mild one to keep you coasting through the afternoon - you choose. With a single touch, the AromaSelector feature lets you select the taste you desire without having to adjust water or coffee quantity. 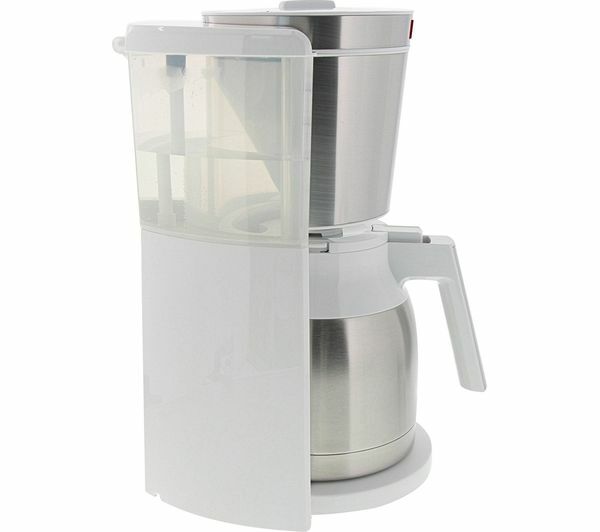 This Melitta Filter Coffee Machine is great for your multitasking moments. 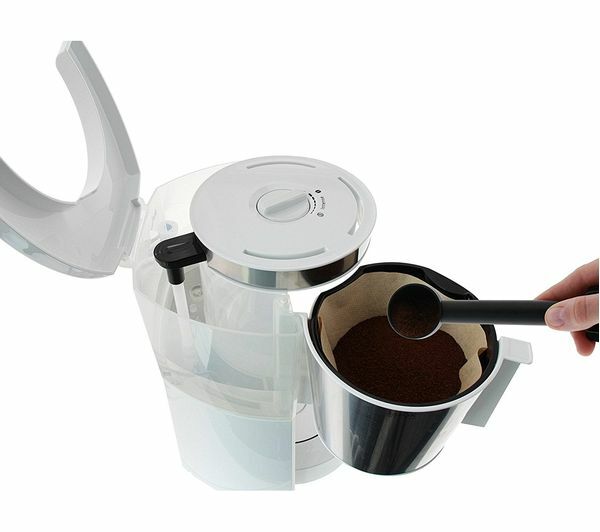 Thanks to the insulated pot with a brew-through lid, you can pour yourself a fresh cup of coffee with one hand whilst chatting on the phone or buttoning your shirt with the other. 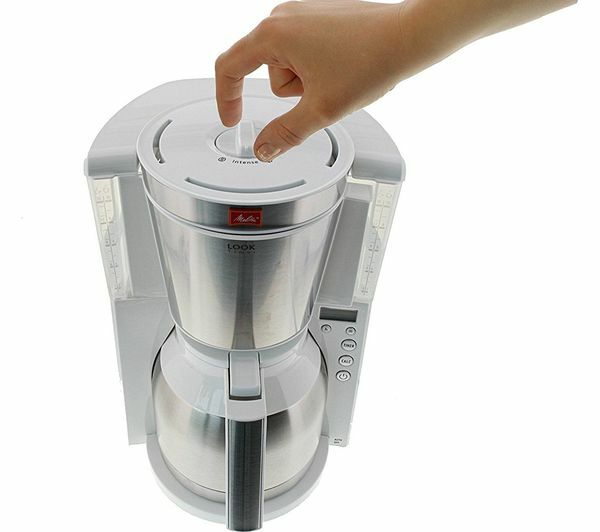 The double-walled, stainless steel pot is designed to be tough and shockproof so you can use it with confidence. 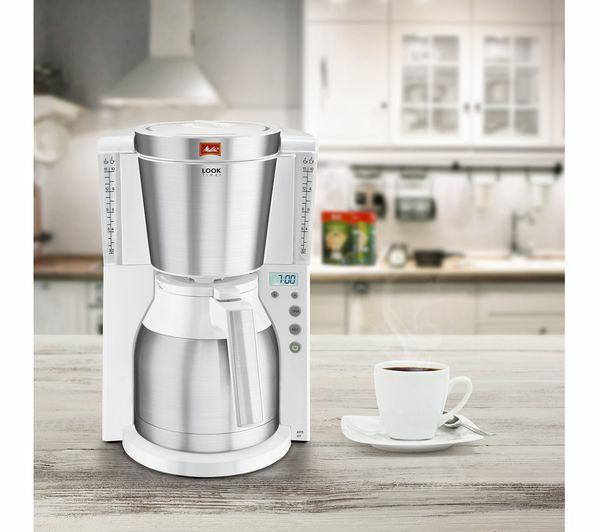 For those moments when you are forgetful, the Look IV Therm Timer Filter Coffee Machine automatically shuts off shortly after brewing, preventing needless use of electricity and saving energy. 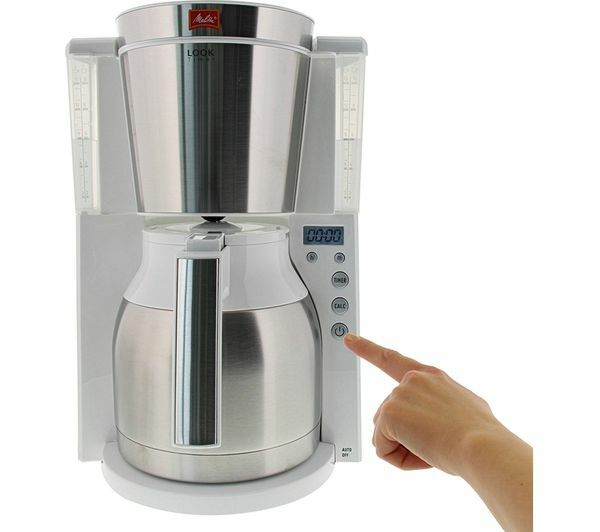 Keep your coffee machine serving you longer. 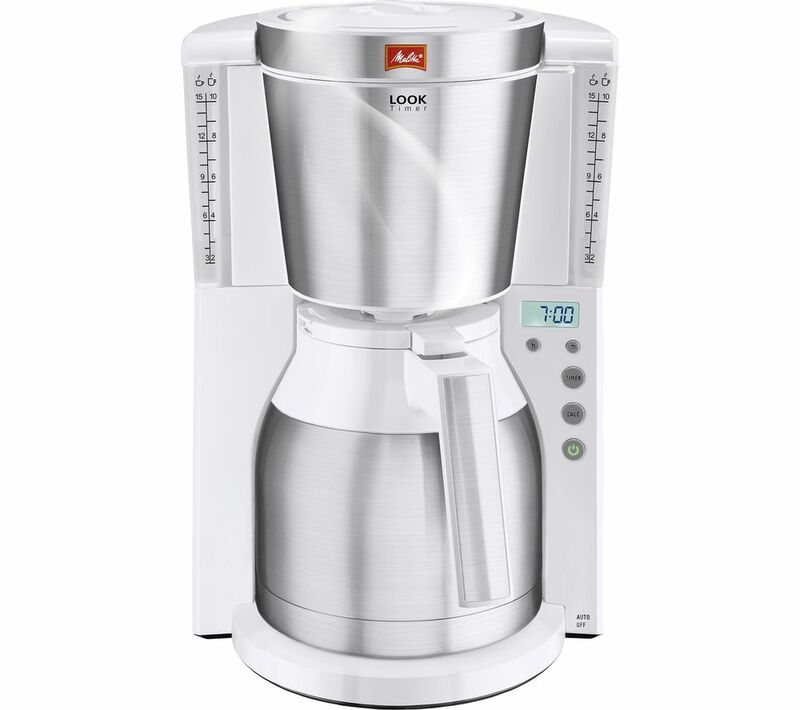 The Look IV Therm has a built-in 3-in-1 limescale protection system that calibrates water hardness, displays calcification and has a descaling programme to ensure that your machine continues providing you with delicious coffee. Easy to use keeps coffee lovely and hot and taste good.